A Fort Lauderdale man convicted of bilking investors out of some $10 million through a Ponzi scheme that funded his purchase of pricey cars and jewelry was sentenced to 12 years behind bars in federal court Wednesday. George Elia, 69, will also serve three years of supervised release following his prison term under the sentencing issued by District Judge Kathleen Williams. Prosecutors say Elia guaranteed he had high rates of returns from his day trading of stock, including Facebook stock, and guaranteed that investor money was safe. But in late 2011, payments to investors became irregular and investors filed civil lawsuits against Elia. In January 2012, Elia sold his home, shipped his belongings to his native Cyprus and fled, prosecutors said. Odalis Freixa, 48, and Marisela Gamez, 49, both of Coral Gables, surrendered to police on Friday after warrants were issued for their arrest in operation "Not So Sweet Deal," police said. Miami-Dade Police Det. Marcos Rodriguez discussed the case, while office colleague Christian Mendes gave his reaction. He was arrested when he returned to Las Vegas with his wife in March 2012. About 50 victims lost around $10 million after investing with Elia, who used the money to buy two Bentleys, a Rolls Royce and approximately $500,000 in jewelry, including pieces from Chanel and Hermes, prosecutors said. Elia's co-conspirator, 70-year-old James "Jim" Ellis, was sentenced to 38 months in prison on April 30. 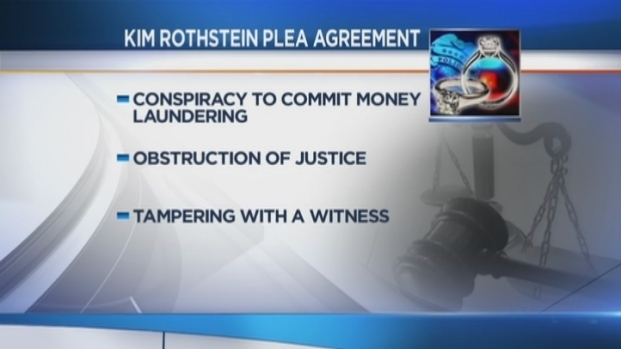 Kim Rothstein, 38, entered her guilty plea Friday in Fort Lauderdale federal court. "The plea speaks for itself," said her attorney, David Tucker.